Analysis: A healthy scratch the past four weeks, Marshall never actually played in a game during his month-long stint with the Saints. He caught 11 of 23 targets for 136 yards and a touchdown in six games for Seattle earlier in the season before 2017 seventh-round pick David Moore subsequently supplanted Marshall for the No. 3 receiver role. Marshall will have a tough time finding a spot with another team this season and may ultimately decide to retire. 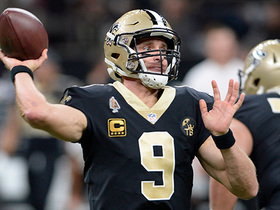 Analysis: Marshall will be on the sideline for the fourth consecutive game, as the Saints will roll with Michael Thomas, Tre'Quan Smith, Austin Carr and Keith Kirkwood as their top four receiving options. Analysis: A healthy scratch for a third consecutive game, Marshall again will don street clothes instead of pads as a member of the Saints. It remains to be seen the scenario in which he'll be given a shot to play, but with Tre'Quan Smith back from a one-game absence, Marshall's services are needed less than they were on Thanksgiving against the Falcons, when he also was inactive. Analysis: In his first two chances to suit up as a member of the Saints, Marshall has been deemed a healthy scratch. Granted, he's only been a part of the organization for 10 days, but rookie wide receiver Tre'Quan Smith (toe) also is inactive, so routes would have been available for Marshall. Instead, the Saints will roll with Michael Thomas, Keith Kirkwood and Austin Carr at wideout. Analysis: Marshall hasn't even spent a week with his new organization, so it's no surprise the 34-year-old is slated to be among the Saints' inactives Week 11. While he works his way into the good graces of Sean Payton and Drew Brees, Marshall may have a tough time becoming a regular in an offense that revolves around Michael Thomas, Alvin Kamara and (to a lesser extent) Mark Ingram. Marshall will visit the Saints on Monday, with the team hoping to sign him to a contract, Nick Underhill of The New Orleans Advocate reports. Analysis: Marshall worked out for the Saints last week, but despite him showing well, the team opted to sign Dez Bryant to boost its ailing receiving corps. Of course, Bryant would go on to tear his Achilles in his second practice with New Orleans, sending the Saints back to square one. With the 34-year-old Marshall still available, he could join the fold Monday. In seven games with the Seahawks this season, Marshall caught 11 of 23 targets for 136 yards and a touchdown but was released late last month. The Saints are expected to work out Marshall early this week with the intention to sign him to a contract, Adam Schefter of ESPN reports. Marshall recently went through a workout with the Lions, Adam Caplan of SiriusXM Radio reports. The Seahawks released Marshall on Tuesday, Adam Schefter of ESPN reports. Marshall had no targets and just two offensive snaps in Sunday's 28-14 win over the Lions. Analysis: Since having six targets in each of the first three games, Marshall's offensive production has tanked to just two targets in the last three outings. In fact, he's dropped to fifth in the wideout pecking order. Fantasy owners shouldn't lose sleep from dropping the 34-year-old receiver as the Seahawks use young talents such as David Moore. Marshall caught his only target for 11 yards in Sunday's 27-3 win over the Raiders. Analysis: Marshall once again fell behind in the pecking order, as David Moore passed him in offensive snaps for the third straight week. Barring an injury, he's fit to stay on waivers. Marshall played just seven snaps in Sunday's 33-31 loss to the Rams, finishing without a catch on one target. Analysis: Marshall appears to have lost the No. 3 receiver job to David Moore, who caught three of four targets for 38 yards and two TDs while playing 31 snaps (52 percent) on offense in Sunday's loss. With Jaron Brown (nine snaps) also in the mix for playing time, the Seahawks might consider dumping Marshall in favor of a depth receiver that can help out on special teams. Marshall caught one of three passes for five yards in Sunday's 20-17 win over the Cardinals. Analysis: Marshall had six targets in each of his first three games this season, but he saw that total slashed in half when Doug Baldwin (knee) returned from a two-week absence. However, all three of Marshall's targets came within Arizona's 26-yard line, showing he still has high-risk, high-reward potential. 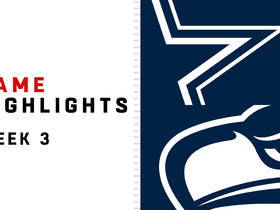 Marshall hauled in two of six passes for 30 yards in Sunday's 24-13 win over the Cowboys. Analysis: Marshall is getting consistent enough volume -- 18 targets spread evenly with six per game -- to remain fantasy relevant, but he's only caught nine of those passes. The 34-year-old will look to turn that around with a Week 4 matchup against a struggling Cardinals team that has allowed 261 passing yards per game. Marshall is no more than a flex option, and his value teeters on when Doug Baldwin (knee) returns. 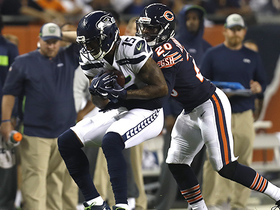 Marshall caught four passes on six targets for 44 yards during Monday's 24-17 loss to the Bears. Analysis: Marshall was a hot waiver wire pickup after Doug Baldwin went down, and he proved why with the second-most targets on the team Week 2. It was a dismal showing for fantasy owners that chose to start him. Marshall will shift his focus to a Week 3 matchup against the Cowboys, who have allowed just one passing touchdown over the first two weeks. Marshall could take on an expanded role with Doug Baldwin (knee) in danger of missing multiple games, Brady Henderson of ESPN.com reports. 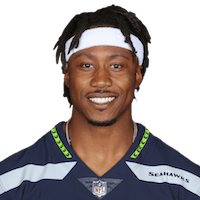 Analysis: Seattle appeared to split Baldwin's usual workload between multiple players in Sunday's 27-24 loss to the Broncos, with Marshall finishing second among the team's wideouts at 37 snaps (65 percent). Tyler Lockett comfortably led the way with a 98 percent snap share, but Jaron Brown (58 percent) and David Moore (28 percent) also got involved. Marshall could push above the 70-percent threshold Monday in Chicago after catching three of six targets for 46 yards and a score in the opener. Marshall made three catches for 46 yards and one touchdown on six targets during Sunday's 27-24 loss to the Broncos. 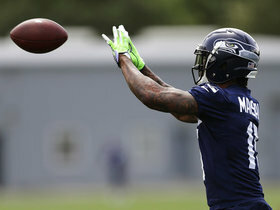 Analysis: Many doubted if a 34-year-old wideout coming off season-ending surgery would even make the Seahawks roster, but Marshall showed why they kept a spot for him. He was able to create separation in the third quarter, allowing quarterback Russell Wilson to drop a dime in the end zone. Marshall could see an uptick in targets against the Bears in Week 2, given that Doug Baldwin has been diagnosed with a sprained MCL. Marshall has a spot on Seattle's initial 53-man roster, Gregg Bell of The Tacoma News Tribune reports. Analysis: Marshall was slow to bounce back from last year's severe ankle injury, as he also had a procedure on his toe and then hurt his hamstring this summer. He got healthy in time to make a late roster push, highlighted by a three-catch outing in the third week of the preseason. The 33-year-old could push Jaron Brown for Seattle's No. 3 receiver job, with potential to be a major factor in the red zone right away. Marshall isn't a lock to be on the 53-man roster for Week 1, ESPN.com's Brady Henderson reports. Analysis: Marshall caught three passes for 34 yards in last week's preseason game and reportedly has looked good at recent practices. The Seahawks might still release him on cutdown day, with the possibility to re-sign him after Week 1 when his $1.015 million base salary would no longer be guaranteed for the season. Marshall likely will open the season fourth or fifth on the wideout depth chart if he does manage to stick around. Marshall caught three passes for 34 yards in Friday's 21-20 preseason loss to the Vikings. Analysis: Marshall was working against two-time Pro Bowler Xaiver Rhodes, and he impressed, leaping up and snagging a 20-yard pass from QB Russell Wilson. Winning jump balls is exactly what Wilson needs out of Marshall in order to replace TE Jimmy Graham, his favorite red-zone target in 2017. There were question marks about whether the Seahawks would retain a 34-year-old wideout coming off season-ending surgery, but Marshall may have put those doubts to bed. Marshall (hamstring) failed to catch his only target in the Seahawks' 24-14 preseason loss to the Chargers on Saturday. Analysis: Marshall was targeted on a quick out on third down in the second quarter, but the ball went through his hands. 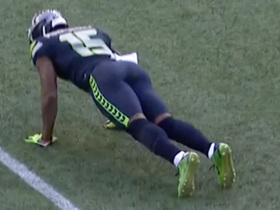 He also drew a pass interference penalty on a deep throw on Seattle's second series. Marshall is competing for one of the last wide receiver spots. He's not fast, and he's still getting into shape coming off an injury, but at 6-foot-5, he has more size than any of his competitors. Marshall needs a big game in next Friday's exhibition versus the Vikings. Marshall (hamstring) worked with the starting offense at Monday's practice, Brady Henderson of ESPN.com reports. Marshall (hamstring) participated in portions of Friday's full-pads practice, Gregg Bell of The Tacoma News Tribune reports. Marshall (hamstring) hasn't been participating in 11-on-11 work at training camp, Bob Condotta of The Seattle Times reports. Marshall (ankle, hamstring) likely will be cleared for the start of training camp, Bob Condotta of The Seattle Times reports. Marshall (ankle) indicated that he's been running pain-free on his surgically-repaired ankle for weeks, Brady Henderson of ESPN reports. Marshall (ankle) will sign a one-year deal with the Seahawks, Adam Schefter of ESPN reports. Analysis: Marshall appeared in just five games as a member of the Giants last season, notching 18 grabs for 154 yards before an ankle injury ended it. He will provide the Seahawks with a big-bodied presence on the outside that should free up Doug Baldwin more in the slot. Marshall is just a couple of seasons removed from a 2015 campaign in which he totaled 109 catches for 1,502 yards and 14 touchdowns, but the 34-year-old wideout will need to stay healthy to drum up big numbers again in 2018. Marshall (ankle) is headed for a visit with the Seahawks, Jordan Raanan of ESPN reports. The Giants released Marshall (ankle) on Thursday due to a failed physical, Ryan Dunleavy of NJ.com reports. Marshall (ankle) is attending Eli Manning's annual passing camp at Duke University, Ralph Vacchiano of SportsNet New York reports. The Giants would free up $5.2 million in cap room while incurring a dead money charge of only $1 million if they were to release Marshall (ankle), ESPN.com's Jordan Raanan reports. Marshall (ankle) said Thursday that he expects to be running without restrictions in a couple weeks. Analysis: In Week 5, Marshall suffered a severe enough injury to his left ankle to require season-ending surgery, which was performed to stabilize the region. Per his comments Thursday, he's been tackling his rehabilitation with a certain ferocity, including "living in the weight room ... to get better, faster and stronger." The 33-year-old wide receiver is also intent on suiting up for two more years after playing less than 13 games in a given season for the first time in his 12-year career. Seattle Seahawks general manager John Schneider gives his take on the teams decision to sign wide receiver Brandon Marshall. 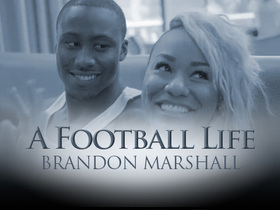 When wide receiver Brandon Marshall's wife Michi was arrested due to his misbehavior, he knew he had to make extreme changes in his life. 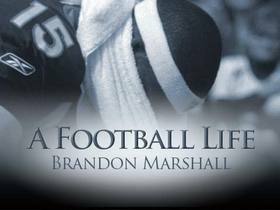 After four years with the team, the Denver Broncos were done with wide receiver Brandon Marshall's erratic behavior, and so were his coaches, teammates, and fans. The Pro Bowl receiver was spiraling downhill quickly and on the brink of losing everything. 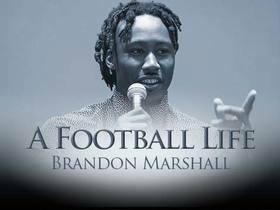 Chicago Bears wide receiver Brandon Marshall now has his own foundation to help others fight mental illness, but it was only a few seasons ago that Marshall was losing his own battle with mental disease. 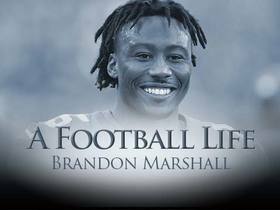 Although Chicago Bears wide receiver Brandon Marshall still deals with borderline personality disorder every day, he now devotes his time to helping others fight their daily battle with mental illness and has become a face of beating the disease. 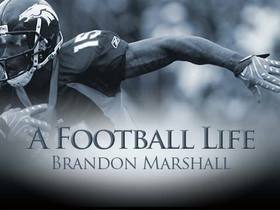 After being diagnosed with borderline personality disorder and going to therapy for three months, wide receiver Brandon Marshall returns to football and shares his story with the world. Seattle Seahawks wide receiver Brandon Marshall out-muscles a Dallas Cowboys defensive back for a 27-yard gain. Seattle Seahawks wide receiver Brandon Marshall fights for extra yards on a 18-yard catch.